The front track-bar controls lateral movement of the axle housing. When you adjusting your ride height, the fixed length of the OE track-bar will not fit well anymore. This will results unnecessary stress on suspension and alignment problems. 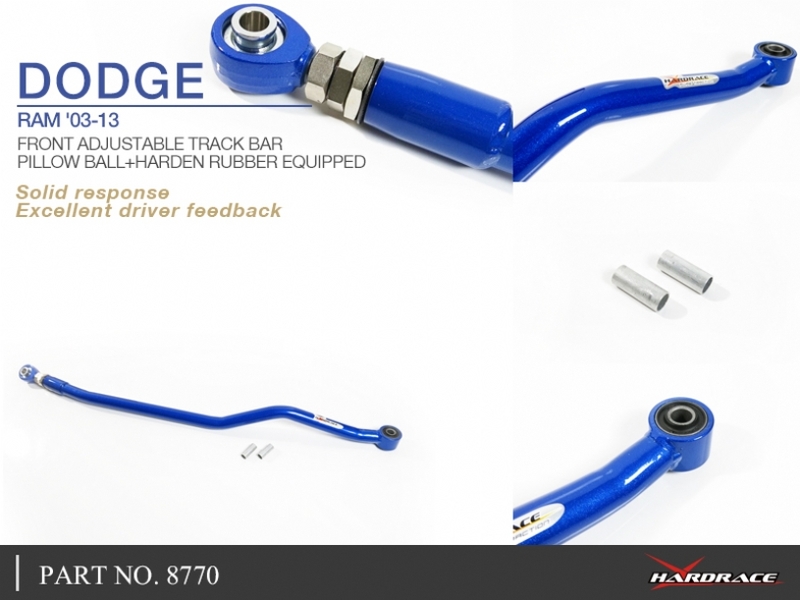 Hardrace adjustable front track-bar allowing your suspension parts to work accuracy and set the alignment correctly and easily.